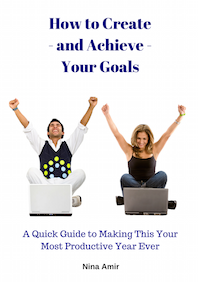 Subscribe for Nina's Email Updates and Get a Free eBook! Get inspired to make this your best - and most-productive - year ever! Grab your copy of this e-book! Learn how to create...and achieve...your goals. It's time you fulfilled your purpose and potential!